23-year-old Renee Davis was killed by police officers on Friday evening during a wellness check in her home on Muckleshoot tribal land, the Seattle Times reports. According to her foster sister, she was five months pregnant at the time. The sheriff’s office declined to comment Saturday beyond what it said Friday night — that the deputies, investigating a report of someone suicidal, found a young woman with a handgun and two small children in the house. Davis has three children, ages 2, 3, and 5; the latter was at a friend’s house. Danielle Bargala, her foster sister and a student at the University of Seattle, said that Davis was “such a soft person,” and that she wasn’t aware of any violent tendencies. Sgt. Cindy West told KOMO that the officers “tried repeatedly to get somebody to come to the door, nobody did. But, they could see the two kids running around inside the house.” West said that they found Davis in the house armed with a handgun. 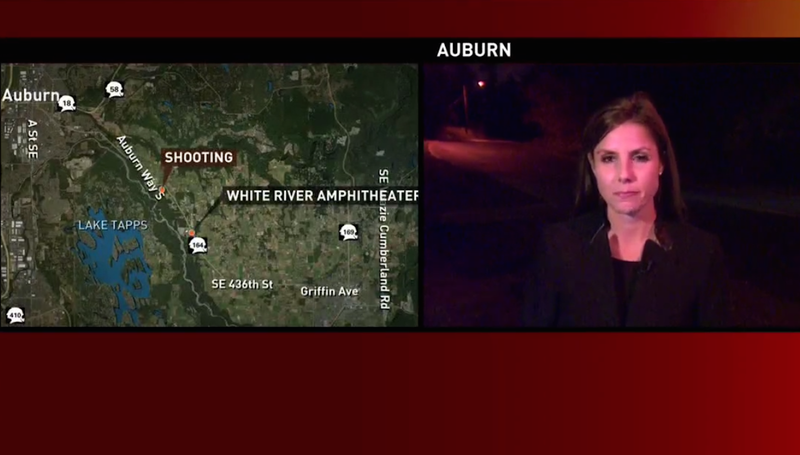 KOMO reports that multiple shots were fired; the children were unharmed. Cecil Lacy Jr., a mentally ill member of the Tulalip Tribe, died of cardiac arrhythmia last year when police officers used a stun gun on him last year, the Seattle Times points out. According to a lawyer representing his family in a lawsuit against the Snohomish County Sheriff’s Office, he was not armed at the time. According to a Washington Post investigation, at least a quarter of police shootings in 2015 involved mentally ill victims, and according to the Center on Juvenile and Criminal Justice, police kill Native Americans at a higher rate than any other ethnic group. Native Americans, at .8 percent of the national population, make up 1.9 percent of police killings. And among young adults aged 18-24, Native American populations have higher rates of suicide than any other ethnic group; the Huffington Post reports that the Indian Health Services department provides spending at only around $3,000 per person, versus the $8,000 per person spent on the general population. Once, the Washington Post reports, youth suicide was “virtually unheard of” among Indian tribes; today, thanks to generations of oppression, violence, displacement, neglect, and misguided assimilation attempts—or what National Indian Child Welfare Association deputy director Sarah Kastelic refers to as “historical trauma”—American Indians suffer from dramatically higher rates of poverty, substance abuse, exposure to trauma, abuse, and PTSD. The two officers involved in this latest shooting were placed on paid administrative leave pending investigation.